Setting：Pave & Prong Setting. Shape：Princess & Round Single Cut. ★Side Stones：100% Genuine Natural Diamonds & Genuine Sapphires. Shape：Round. Ring Size：6.5 (resizable). Width Bottom：1.79mm. Width Top：6.73mm. Color Stones Change (White Topaz, Blue Sapphire, Ruby etc). Side Diamond Weight - 0.00 Carat. Diamond Type - Lab Created. Diamond Clarity - VVS1. Diamond Color - D.
1ct Yanni B Natural Ruby, Diamond & Gold Ring. Material: Solid 14K White Gold (Tested, marked 14K, Yanni B). 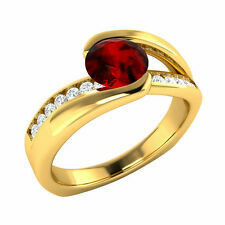 For sale is a beautiful natural red ruby, gold & diamond ring. Surrounded by a fifth carat of brilliant colorless sparkling accent diamonds - 14 on each side and two on the front and back of the ruby setting. 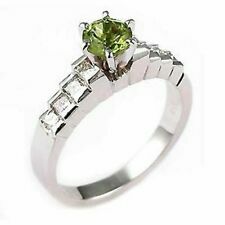 Gem Stone: 0.25 Ctw=12x Round Brilliant Cut Diamond 0.25 Ctw=18x Baguette Diamond. Center Gem Stone: 0.54 Ct Oval Ruby. Composition: 14k Gold Marked. Photos: We’ve spent 1000’s of hours working to perfect the perfect photo. 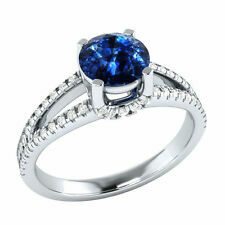 ★Side Stones：100% Genuine Natural Diamonds & Genuine Sapphires. Setting：Pave & Prong Setting. Size：5.5mm to 6.75mm 〔ideal is 6mm〕. Shape：Round Singe Cut & Round Cut. Shape：Round. Ring Size：6.5 (resizable). ★Center Stone：100% Genuine Sky Blue Topaz. Ring Size：6.5. Width Top：21.2mm. Service you wholeheartedly. You will get response within 24 hours. we are very glad to help you. Clarity：Flawless. ★Center Stone：100% Genuine Lightest Pink Morganite. Setting：Pave & Prongs Setting. ★Side Stones：100% Genuine Natural Diamonds. Ring Size：6.5 (resizable). Shape：Round Single Cut. Width Top：9.28mm. Size：5x7mm. Gem Stone: 0.16 Ctw=16x Round Single Cut Diamond I-J, SI. Composition: 10k Gold Marked. Center Gem Stone: 0.54 Ct Natural Pear Cut Sapphire. Photos: We’ve spent 1000’s of hours working to perfect the perfect photo. Size：7x7mm. Shape：Cushion. Ring Size：6.5 (resizable). ★Side Stones：100% Genuine Natural Diamonds. Total Gram Weight：3.5g. Width Top：11.3mm. Carat Weight：1.9ct. Total Carat Weight：0.17ct. Size：8x6mm. ★Center Stone：100% Genuine Lightest Pink Morganite. Shape：Cushion. ★Side Stones：100% Genuine Natural Diamonds. Ring Size：6.5 (resizable). Width Top：11mm. Service you wholeheartedly. You will get response within 24 hours. Size：10x8mm. ★Center Stone：100% Genuine Smokey Quartz. Ring Size：6.5. Width Top：12.5mm. Service you wholeheartedly. You will get response within 24 hours. we are very glad to help you. Clarity：Flawless. Setting：Pave & Prong Setting. Size：6mm to 7mm 〔ideal is 6.5mm〕. Shape：Round Cut. Shape：Round. Ring Size：6.75. Width Bottom：1.7mm. ★Center Stone：No Main Stone. Width Top：6.9mm. ★Side Stones：100%Genuine Rubies. Shape：Round Cut. Shape：Round. Ring Size：6.5 (resizable). Width Bottom：1.8mm. Width Top：9.6mm. Service you wholeheartedly. You will get response within 24 hours. ★Center Stone：100% Genuine Pink Quartz. Ring Size：6.5. Width Top：12.5mm. Service you wholeheartedly. You will get response within 24 hours. we are very glad to help you. Clarity：Flawless. Color Stones Change (White Topaz, Blue Sapphire, Ruby etc). Side Diamond Weight - 0.90 Carat. Diamond Type - Lab Created. Diamond Clarity - VVS1. 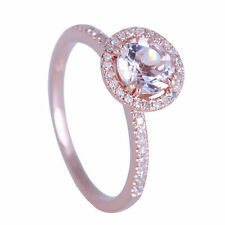 Diamond Color - D.
★Center Stone：100% Genuine Morganite. Setting：Pave & Prong Setting. ★Side Stones：100% Genuine Natural Diamonds. Shape：Round Full Cut. Shape：Round. Ring Size：6.5 (resizable). Width Bottom：2.9mm. Width Top：8.4mm. ★Side Stones：100%Genuine Rubies. Setting：Pave & Prong Setting. Shape：Round Cut. Shape：Round. Ring Size：6.5 (resizable). Width Bottom：1.8mm. Width Top：11.1mm. Service you wholeheartedly. ★Center Stone：100% Genuine White Topaz. Ring Size：6.5. Width Top：7.8mm. Service you wholeheartedly. You will get response within 24 hours. we are very glad to help you. Clarity：Flawless. Size：10x8mm. ★Center Stone：100% Genuine Smokey Quartz. Ring Size：6.5. Width Top：12.5mm. You will get response within 24 hours. we are very glad to help you. Service you wholeheartedly. Gemstone Blue Topaz. Quality SI (Color G-H). 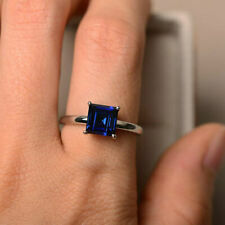 Gemstone Diamond. CUSTOMIZATION OPTION. Double your traffic. Any jewelry you receive from us, is certified by leading gemological laboratories like GIA,IGI and SGL. Composition: 14k Gold Marked. Photos: We’ve spent 1000’s of hours working to perfect the perfect photo. Our goal is to photograph it in a way that allows you to see what the item will look like when it is in front of you. ★Center Stone：100% Genuine Smokey Quartz. Ring Size：6.5. Width Top：15.22mm. Service you wholeheartedly. You will get response within 24 hours. we are very glad to help you. Clarity：Flawless. ★Center Stone：100% Genuine Pink Quartz. Ring Size：6.5. Width Bottom：3.61mm. Width Top：15.22mm. You will get response within 24 hours. we are very glad to help you. Service you wholeheartedly. Stamped：10K/417. Size：4mm Garnet & 5x4 Garnet. ★Center Stone：100% Genuine Garnet. Shape：Round & Oval. ★Side Stones：100% Genuine Natural Diamonds. Shape：Round Full Cut. Ring Size：6.5 (resizable). Width Bottom：1.7mm. Width Top：18mm. ★Center Stone：100% Genuine Lightest Pink Morganite. ★Side Stones：100% Genuine Natural Diamonds. Shape：Round Single Cut. Shape：Round. Ring Size：6.5 (resizable). 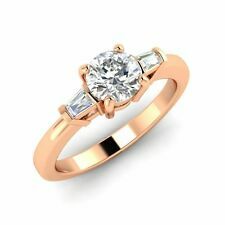 Need upgrade the ring to 9K.10K.14K.18K White/Yellow/Rose Gold or the accent diamonds upgrade to VS or VVS. Shape：Round Single Cut. Shape：Round. Ring Size：6.5 (resizable). ★Side Stones：100% Genuine Natural Diamonds. Width Bottom：1.5mm. Total Gram Weight：4.4g. Width Top：19.7mm. Carat Weight：2.02ct. SIGNED '14k"585'. TOTAL WEIGHT 3.70 GRAMS. ★Center Stone：100% Genuine Lightest Pink Morganite. ★Side Stones：100% Genuine Natural Diamonds. Shape：Round Single Cut. Shape：Round. Ring Size：6.5 (resizable). Width Bottom：1.6mm. Width Top：7.4mm. Carat Weight：1.4ct. Mainstone: Sapphire. Material: 14K White Gold. Stone Weight: 2 Carat. Stone Weight: 1 Carat. 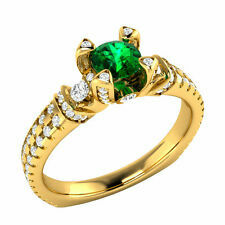 Total All Stones Weight: 3 Carat. Gemstone 1: Diamond. Item Type: Ring. Ring Size: 7. ★Center Stone：100% Genuine Sky Blue Topaz. ★Side Stones：100% Genuine Natural Diamonds. Ring Size：6.5 (resizable). Shape：Round Single Cut. Width Top：10.05mm. Service you wholeheartedly. You will get response within 24 hours.